(2017/Concord) Limited, numbered Edition. 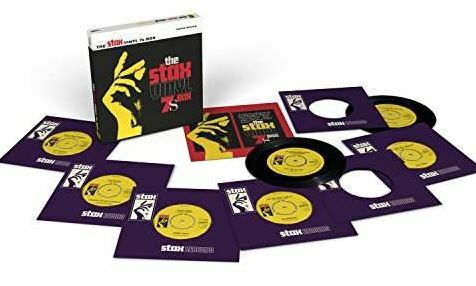 - Im Zuge des großen 60-jährigen Jubiläums von STAX erscheint mit dem streng limitierten 'Stax Northern Soul 7inch Singles Box Set' die nächste Veröffentlichung. Die Box präsentiert auf sieben 45rpm Singles 14 seltene Grooves, die sich großer Nachfrage erfreuen von sehr bekannten aber auch weniger bekannten Künstlern! Dieses hochwertige Boxset kommt mit Liner Notes des legendären Northern Soul DJ und BBC Moderator Richard Searling. Das Set enthält Songs von Darrell Banks, Carla Thomas, Johnnie Taylor, William Bell u.v.m.! 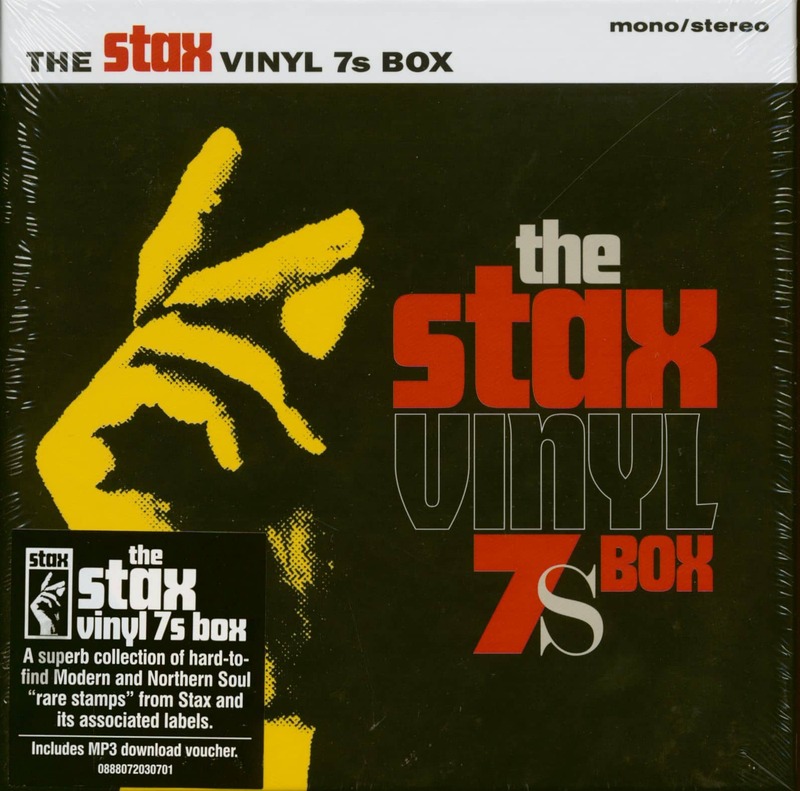 A legendary R&,B logo, with recordings made from Memphis to Detroit, and throughout the 1960s well into the 1970s, the Stax team always created astoundingly vibrant recordings. The label discovered world-class vocalists, innovative producers and musicians that excelled. Presented here on seven 45s are fourteen in-demand rare grooves from both the famous and under-rated artists who cut amazing music for the Stax group of labels. All highly sought after around the world by connoisseurs of both Modern and Northern Soul. 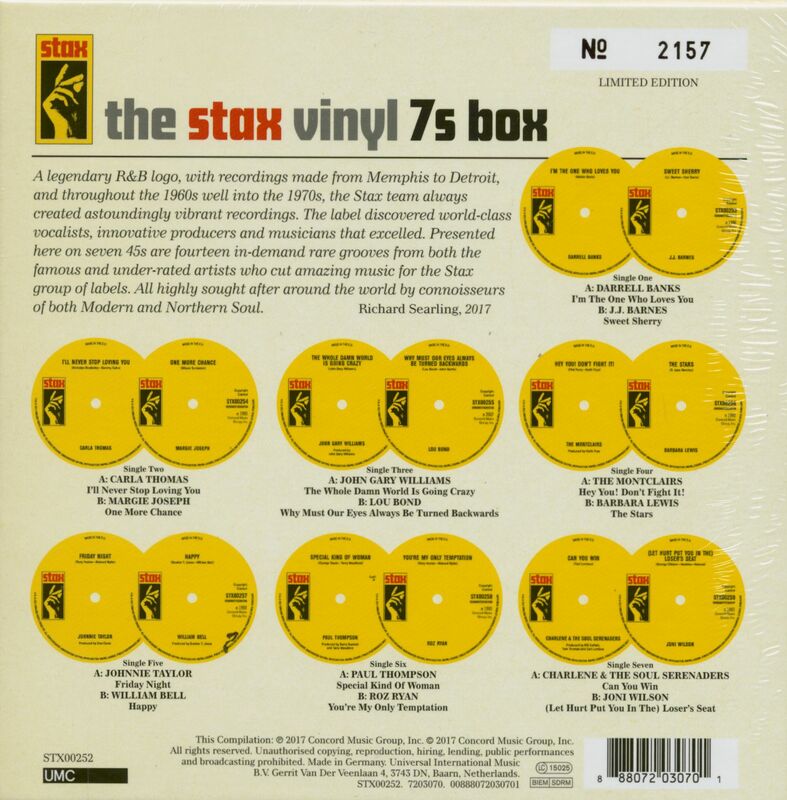 Kundenbewertungen für "The Stax Vinyl 7s Box (7x45rpm Box Set, 7inch, SC)"